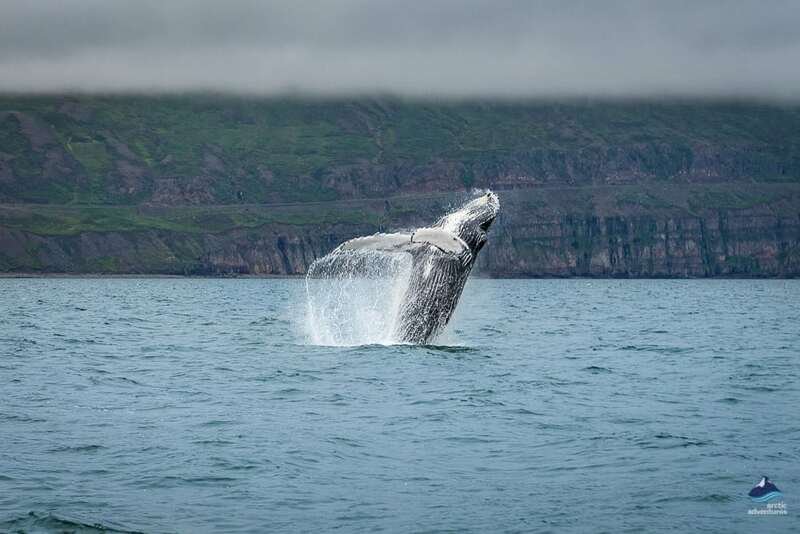 When people think about whales in Iceland their thoughts usually go to images of majestic leaping whales – not surprising when Iceland offers the best whale watching in Europe. 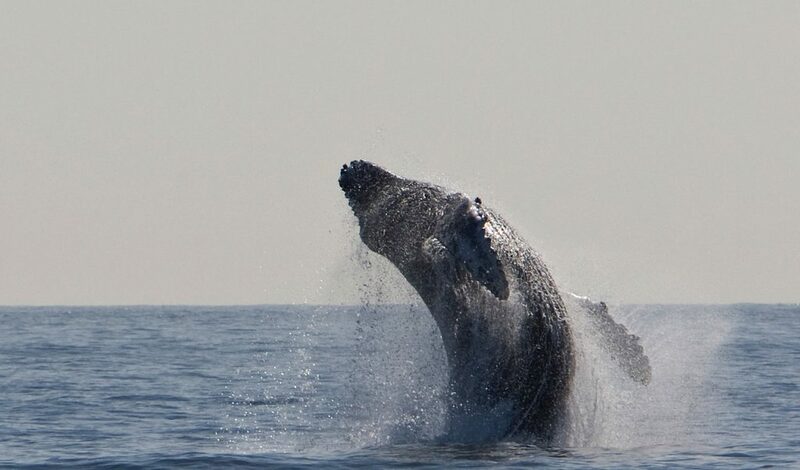 Humpbacks are the most vigorously acrobatic whales, appearing in large numbers from April to October. Although, they are now spotted far more often than they used to be in January, February and March. They are extraordinarily exciting to watch, their astonishing leaping antics make them great subjects for stunning videos and photographs. Adults usually reach 16 meters (52 feet) to 18 meters (59 feet) in length, they can easily weigh 30,000 to 35,000 kg, sometimes even 40,000 kg. Orcas are most often seen around Snæfellsnes, a craggy and beautiful peninsula in West Iceland. Orcas are also known as killer whales, so are they aggressive? 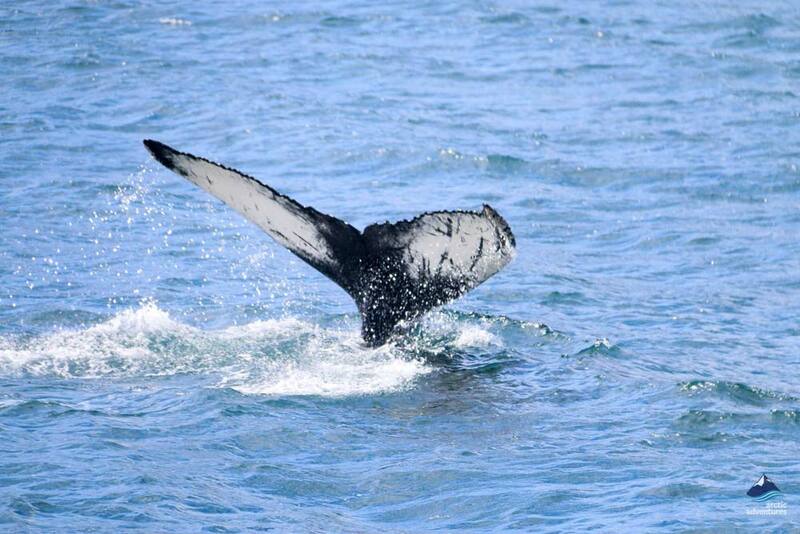 They are certainly very friendly towards groups of whale-watching tourists, often swimming really close to the boats! However, they have a very strong killer instinct when it comes to other whales, they sometimes suffocate humpback whales by leaping onto their backs, which covers over their blowholes! In whale terms killer whales/orcas are not that large, weighing between 3400 kg and 5600 kg. Fin whales are the second largest mammal inhabiting the earth, they can often be seen in the waters around North Iceland. These glossy marine giants can be up to 26 m (85 ft) in length, and grow to weights of around 80,000 kg, although there have specimens which were estimated to weigh as much as 114,000 kg. Their elegant bodies are proportionally slightly more slender than other whales, they have a greyish brown color, their undersides are paler. These giants of the deep are the largest animals on the planet, they can reach lengths of 33 meters (108 feet) and weights of up to 190,000 kg. 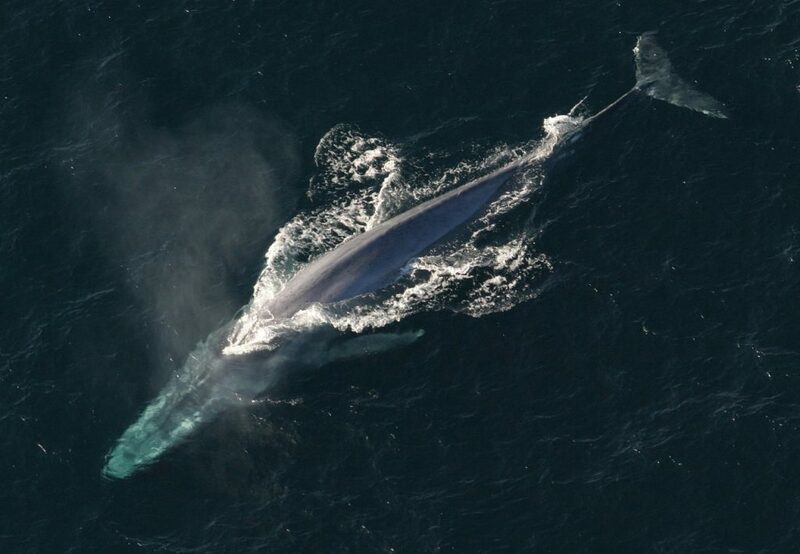 Blue whales can live to 90 years, surviving on a diet of krill and plankton. It is hard to imagine the vast quantity of these foods which is required to sustain a creature of this size! 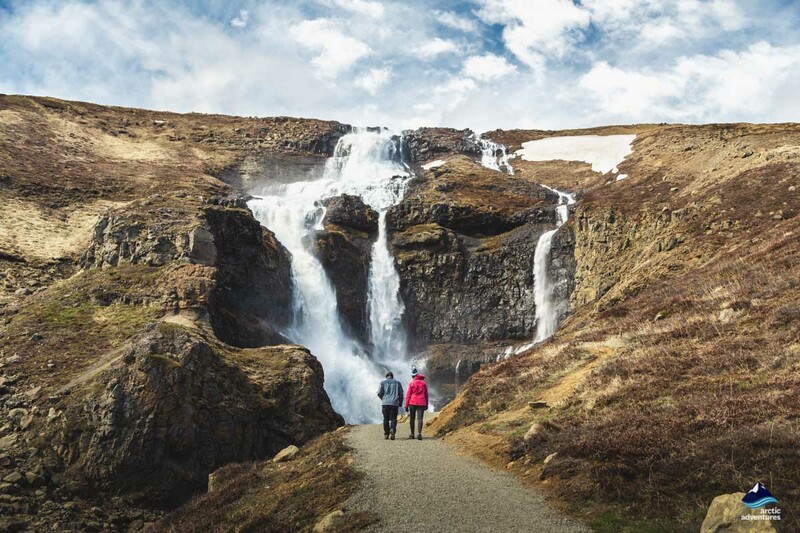 North Iceland is a particularly good location for sightings of blue whales, the bay of Skjálfandaflói, Eyjafjörður, the longest fjord in Iceland and Húsavík are all particularly famous locations. They have been spotted in South Iceland as well. 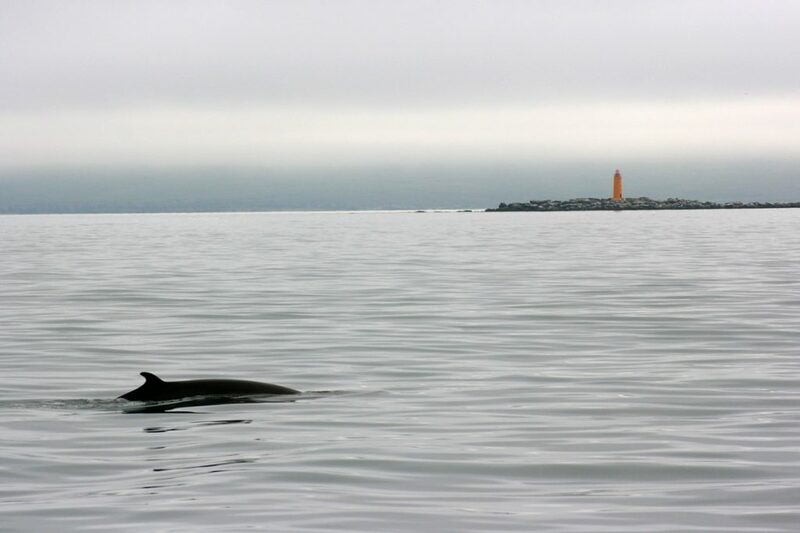 Like humpback whales, minke whales are very frequently spotted all around the coast of Iceland. They can grow to around 8.5 meters (28 feet) in length and weigh between 5,000 kg and 10,000 kg, so, in whale terms they are beautiful but not large. When they are in Arctic waters they eat small fish such as sardines, herring and cod, in the Antarctic they are nourished, almost exclusively by krill. They can be found all around the coast of Iceland. 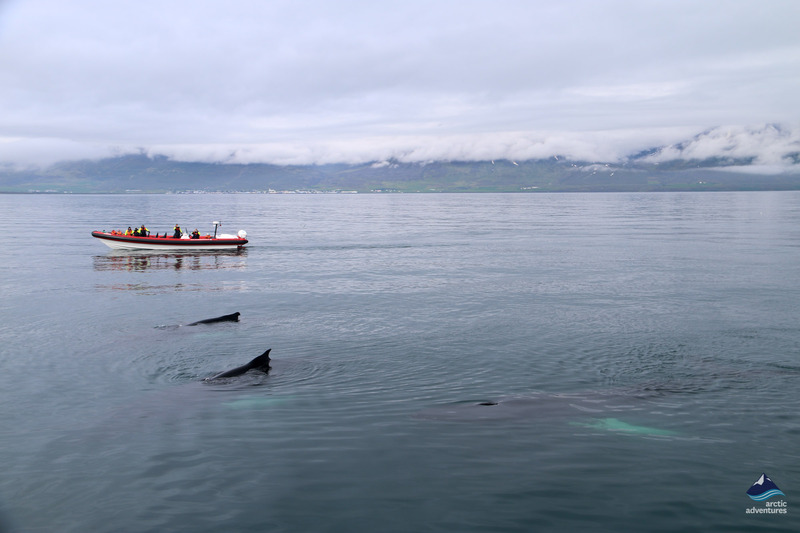 Whale watching tours are operated from many of Iceland’s harbors. 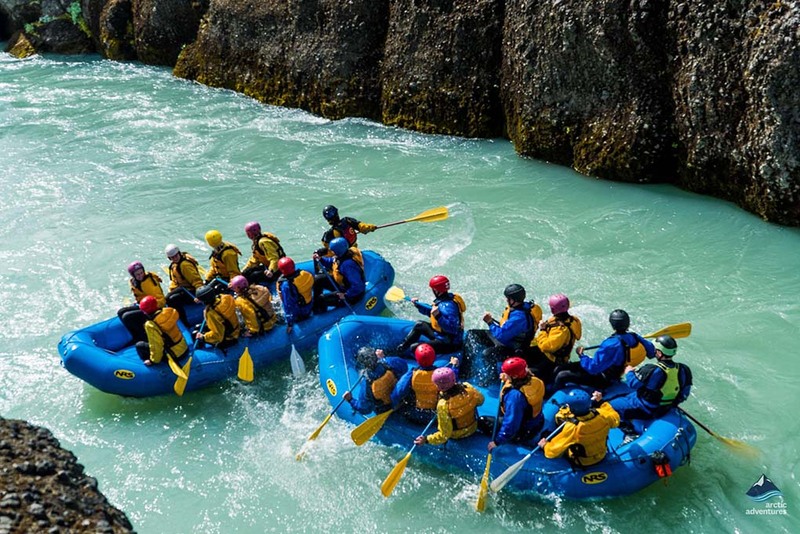 All tour operators have a high success rate, however, those in the north can boast the best success rates of all. 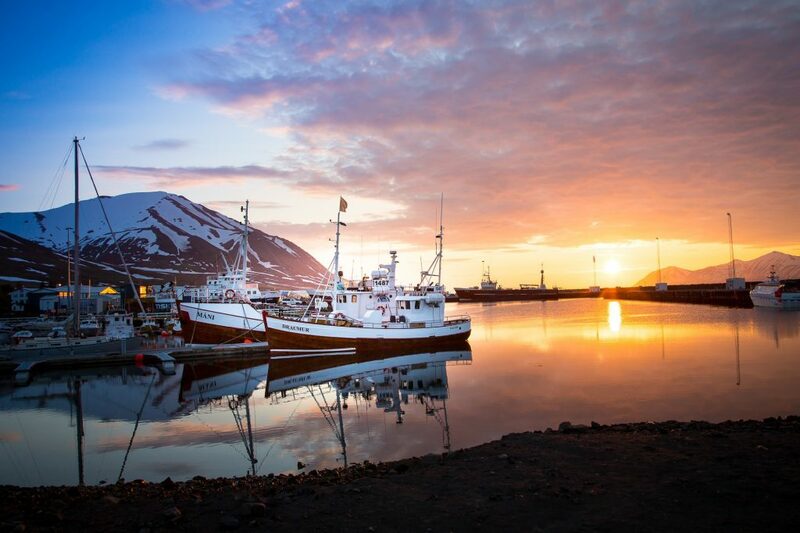 Two stunning tours on Eyjafjörður, a magnificent fjord in North Iceland, are operated from Dalvík, giving you the best chance in Iceland of spotting acrobatic humpback whales. The standard whale watching boat trip (whales sighted on 98% of trips) will take you across this long mountain-framed fjord. The fast and exciting whale watching adventure by super-fast rib boat tour has an even higher whale-sighting rate of 99%. 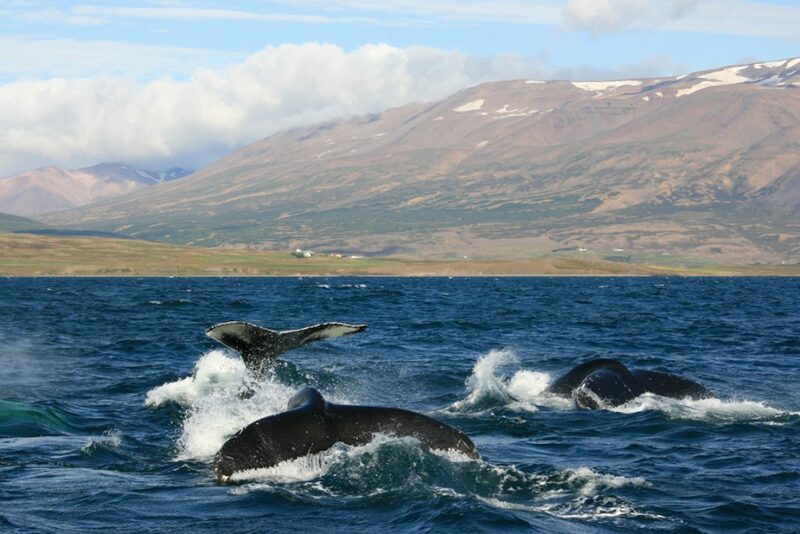 If you want the best ever chance of seeing humpbacks this is the tours to opt for, on this fast boat you will also see more of the stupendous Eyjafjörður scenery. 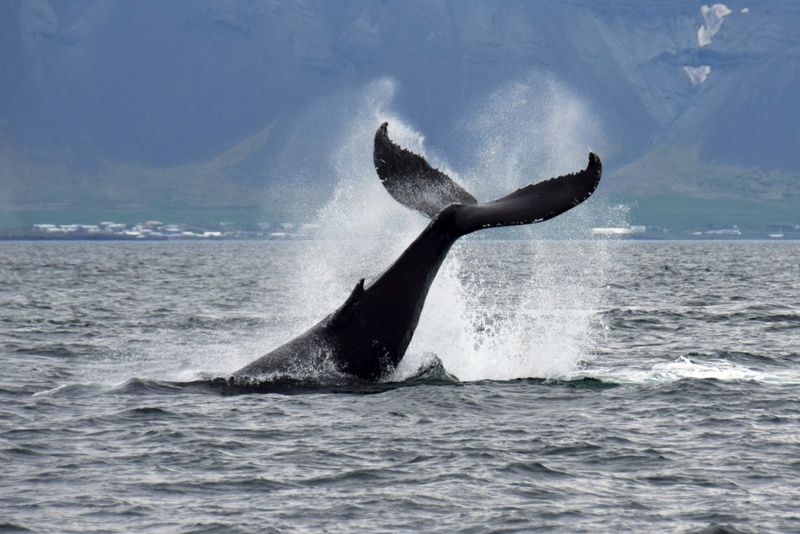 Whale watching tours from Reykjavík are hugely fun and also enormously successful when it comes to sighting whales, dolphins and other ocean wildlife around the bay of Faxaflóí. 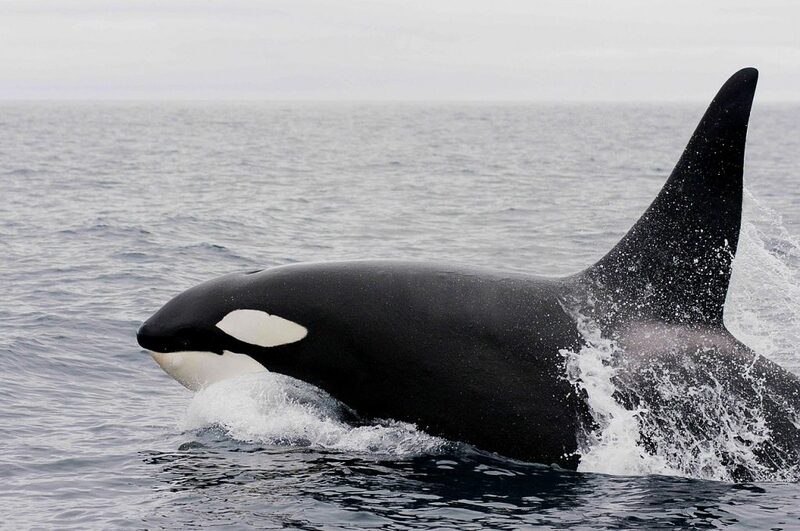 The top places to see killer whales/orcas is around the Snæfellsness peninsula but they can certainly be seen from other locations. 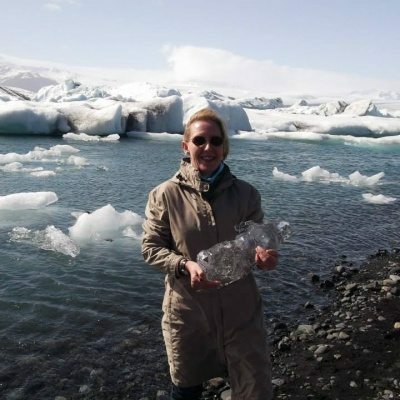 My choice would be a whale watching tour on Eyjafjörður! Boat tours from North Icelandic ports have a slightly higher sighting rate than tours from South Iceland. Another advantage is fin whales are often spotted on whale watching boat trips from North Iceland. There are probably no more than 50,000 to 100,000 fin whales in the North Atlantic Ocean, so it is remarkable they are sighted as frequently as they are. Incredible Blue Whales are, also, far more prevalent in the waters around North Iceland. When whales leap clear of the water and then slap down hard this is referred to as breaching. No one knows exactly why whales breach, although, they do it far more often when they are in groups. Because whales do this more when they are in groups it has been said that this behavior is some kind of communication signal. It seems to be very playful and the resounding ´slap´ when a breaching whale hits the water is certainly loud, sometimes loud enough to be heard a kilometer away. The most famous Icelandic Whale! Beyond a doubt, Keiko, the orca whale from Iceland which played Free Willy in the series of films. In fact, before Björk became an international singing superstar, Keiko was the most famous Icelander! Keiko was so famous and adored that a fortune was spent on efforts to return him to live in the wild, which wasn’t completely successful. 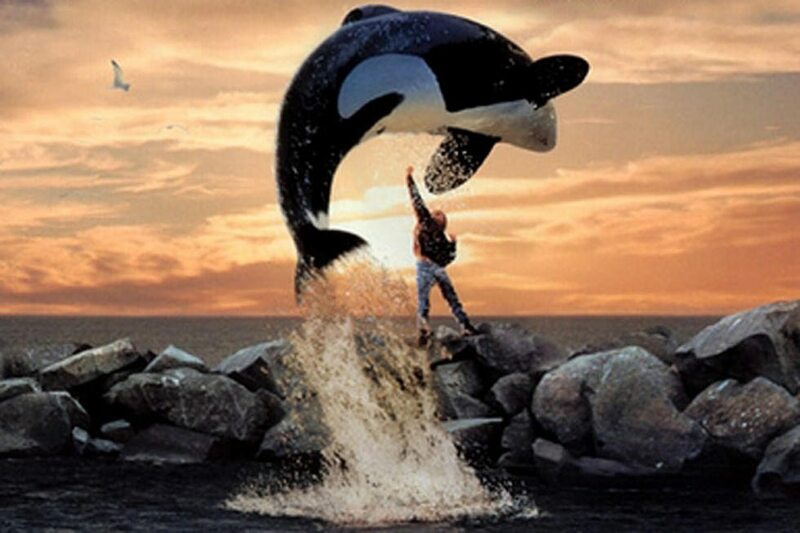 When Keiko died in 2003 this was widely reported upon and Free Willy fans throughout the world were saddened. He did however spend his last moments in Icelandic seas as he swam around the Westman Islands (Vestmanneyja)! The cultural significance of wales to the indigenous people of Greenland, Norway, the Aleutian Islands, Alaska and many other Arctic places is very well-known. 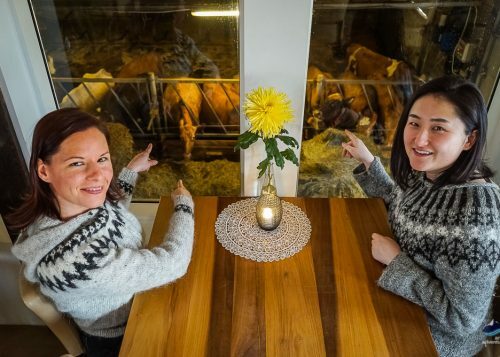 Although other protein sources have always featured quite strongly in the Icelandic diet, whales have, at various times, been a crucial food for the Icelandic people. The importance of whales to those who settled Iceland and their descendants is recorded in the Icelandic Sagas. 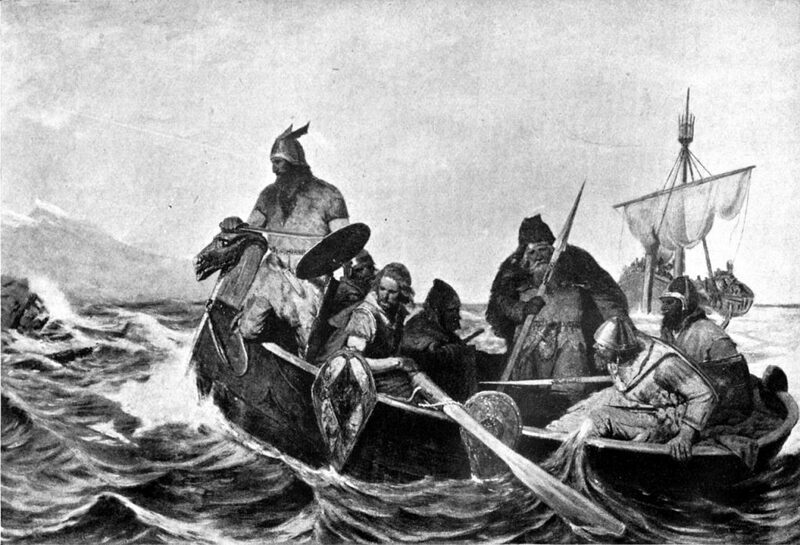 Grettis Saga, telling the story of Grettir Ásmundarson, mentions a deathly feud about a whale, it may seem surprising that men were willing to fight to the death over a beached whale until you realize what a truly great gift of providence this was. Many other Icelandic Sagas and later Icelandic manuscripts refer to whales, sometimes in considerable detail. Jónsbók, is a law book written in 1281, recording some statutory changes, unique to Iceland which had been negotiated with the Norwegian King. Whales were sufficiently important to merit a mention! It is stated that when a harpooned whale comes ashore on a farmer’s land, the flesh should be divided between the farmer, the person who harpooned it and the poor people of the community. Thus, whales were seen, even in these early times, as part of a natural commonwealth which belonged to the people of the local community. 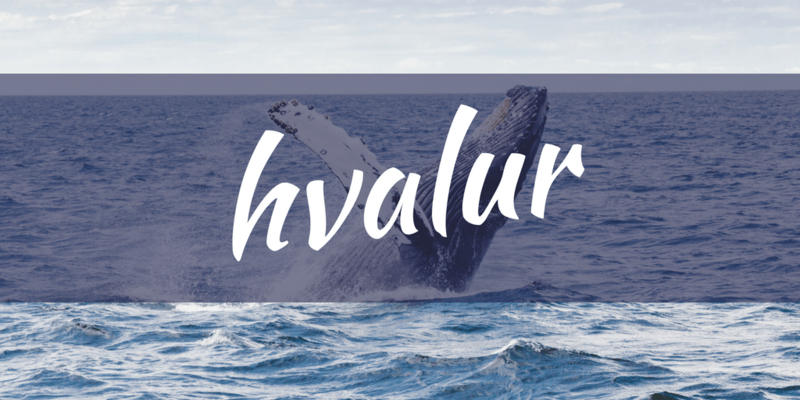 Hvalur is the Icelandic word for whale, and another word, Hvalreki, refers to a beached whale, or one which has swum into a creek or fjord and got trapped there. You can imagine what a godsend this was, in times of hunger, when the ocean waves were too wild for the fishing boats to put to sea. So, Hvalreki, is a word which has a more than one meaning: a beached whale, or a massive stroke of good fortune! A beached whale was, in hard times, and there were often hard times in Iceland, equivalent to a major lottery win! Nowadays, every so often news reports will carry stories about a beached whale. The most recent Icelandic ‘Hvalreki event’ happened on 26 November 2015, when a beached whale appeared at Seltjarnarnes, a lovely peninsula on the edge of Reykjavík. Why do whales love Icelandic waters? 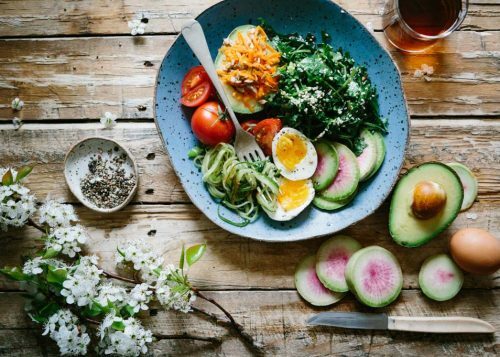 The simple answer is the plentiful food supply! The very cold Arctic Sea and the warmer North Atlantic Ocean currents mix a little around the coasts of Iceland, the depth of these waters is also comparatively shallow, the perfect habitat for herring, squid and other small fish. When humpback whales arrive in the north in the spring they are very hungry. They do not feed much when they are in the tropics, instead, they give of their own energy to feed their young calves. These thin and hungry humpbacks endure their mammoth 7000 km (4,600 mi) migration from the Gulf of Mexico for one reason only, their need for nourishment! Many humpbacks do not survive the journey, either because their strength is too depleted, or attacks from predatory killer whales. Comparatively few land animals have ever resided in Iceland, so when people think of Icelandic animals and wildlife, it is whales, horses and ravens which spring instantly to mind, followed closely by the only land animal indigenous to Iceland, the amazingly cute Arctic fox. Many bird species have nesting grounds in Iceland, and many other birds migrate here, including, on rare occasions, usually in the north, magnificent snowy owls. Check out our Guide to Iceland’s wildlife. The unusual attributes of the short, but immensely strong and tough Icelandic horses are known around the world. 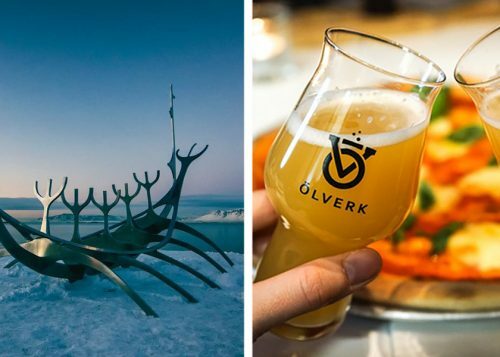 The Vikings who settled Iceland brought their sturdy horses with them in the 9th century, the isolation of this island nation ensured the breed was kept pure. They are best known for their fifth gait, tölt, which is unique to the Icelandic horse. 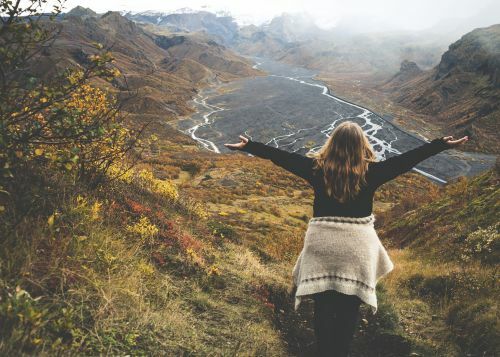 Iceland offers its visitors the opportunity to scan the ocean for sightings of the largest mammal on earth, to peruse the skies or cliffs for birdlife, or to ride the small but sturdy Icelandic horses. 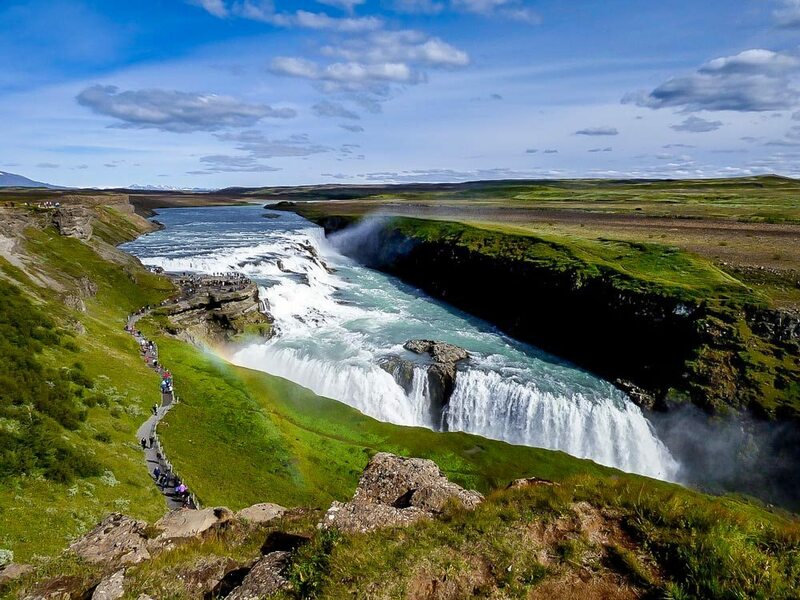 If you take whale watching tour and a horse riding tour you will truly have captured the essence of the Icelandic land and oceans.